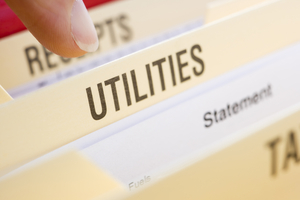 A recent analysis of the energy market, conducted by UKPower.co.uk, has revealed that 13 popular energy tariffs will expire, leaving consumers with an 8% increase in their energy bills, on average. Energy plans from suppliers including EDF energy, M&S Energy, Npower, SSE, Scottish Power and iSupplyEnergy will expire at the end of the year, causing bills to increase around £80 on average. Consumers hit the hardest could see a hike of up to £145 on their annual bill. The price increases occur when consumers are automatically moved on to more expensive standard tariff once theirs ends. In light of this news, energy customers are being urged to take control of their bills by switching tariffs as soon as possible. It is standard in the industry for supplier switches to take anywhere from four to six to fully complete, meaning consumers that are slow to take action now, could face heightened prices for weeks to come in the new year. For help switching and to see the best tariffs currently on market, click here or call us on 0800 320 2000.